Do You Really Need New Wiper Blades? It’s easy to take your wiper blades for granted, but it’s important to remember that they don’t last forever. Wear and tear over time can impinge on your visibility – and you might not realise there’s a problem until you find yourself squinting through the windshield during a thunderstorm. A set of new, efficient wiper blades is one of the simplest and most impactful quality-of-life enhancements you can make to your car. Many drivers don’t notice the wear on their wiper blades, and they leave it too long before changing them. Replacing your blades as often as twice a year can eliminate annoyances like streaks and smears while increasing visibility. This not only makes driving more pleasant, it can dramatically increase your safety on the road. At Sparesbox, we pride ourselves on having the parts you need to keep your vehicle in prime condition. That’s why we offer a massive selection of wiper blades and accessories from two market-leading brands – Bosch and Tridon. Our selection features more than 550 products, so whether you’re getting around town in a Beamer, a Volvo, a Ford – even a Hummer – we’ve got the wiper blades you’ll need to keep your windscreen clear. Fortunately, this is the simplest part of all – and we make it even simpler! Every set of wiper blades is designed to fit a particular model (or models) of car. All you need to do is head to our expansive Wiper Blades section, click on the ‘Add Vehicle’ button, and enter your vehicle’s details. This will automatically filter out all the irrelevant products, leaving you with a selection of blades and sets that are guaranteed to fit your car. The toughest choice you’ll need to make is picking between Tridon wiper blades and Bosch wiper blades! Of course, it’s worth remembering that multiple sizes of wiper blades can fit a single model of vehicle. That’s why it’s always a good idea to consult your car’s manual – or even measure your current blades if you’re still unsure. What Products Do You Need to Change Your Wipers? Even though the process may sound daunting, it’s extremely simple. All you’re going to need are front and rear wiper blades; connector clips; scissors or a box cutting knife; and pliers (or just strong fingers). All the products you need to complete the process are available right here at Sparesbox. 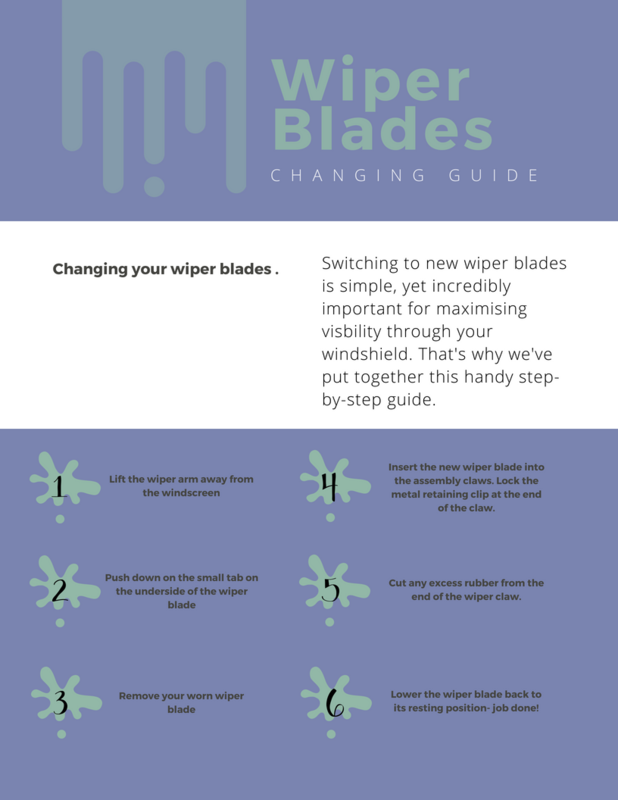 And if you need a little extra help, make sure to check out our thorough step-by-step guide on how to replace your wiper blades. If you want the process to be as simple as it can possibly be, make sure to browse through our huge range of Wiper Blade Kits, which come complete with front and rear wipers and the connector clips you’ll need to install them.